Can you say: “Oh My Goodness! Oh My Goodness! Have I died and gone to Heaven?” Yes, this is that good and then some. Delicate yet full of flavor. You definitely need to try this! You can serve this as the opening course for your Thanksgiving Holiday meal as it is a perfect Fall soup with all the luxurious corn flavor packed in this soup but it will be a hard act to follow. 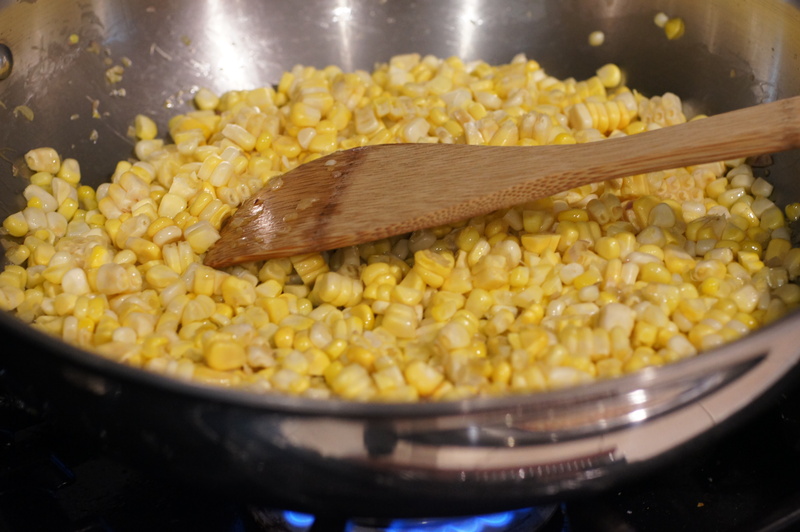 Before we start, prep the corn by removing the kernels from the corncob. 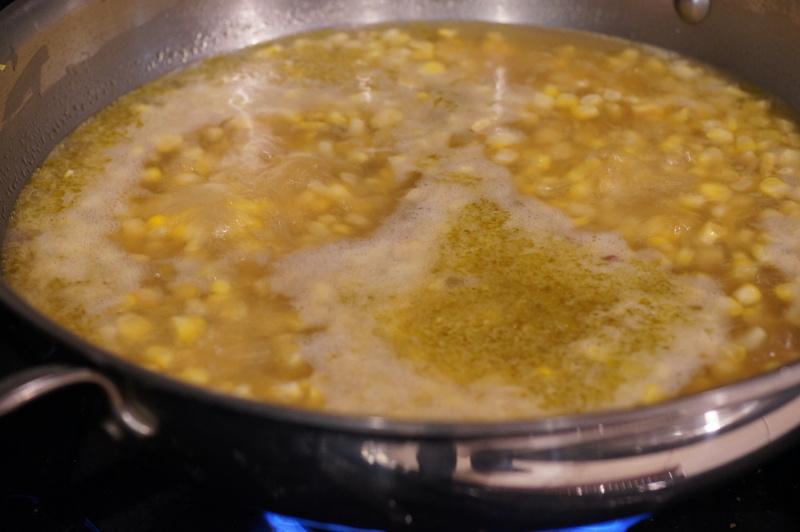 Because we want a very flavorful corn soup (the corn really is the star), you want every last drop of corn flavor you can get from the fresh corn. This includes the flavor in the corncob. 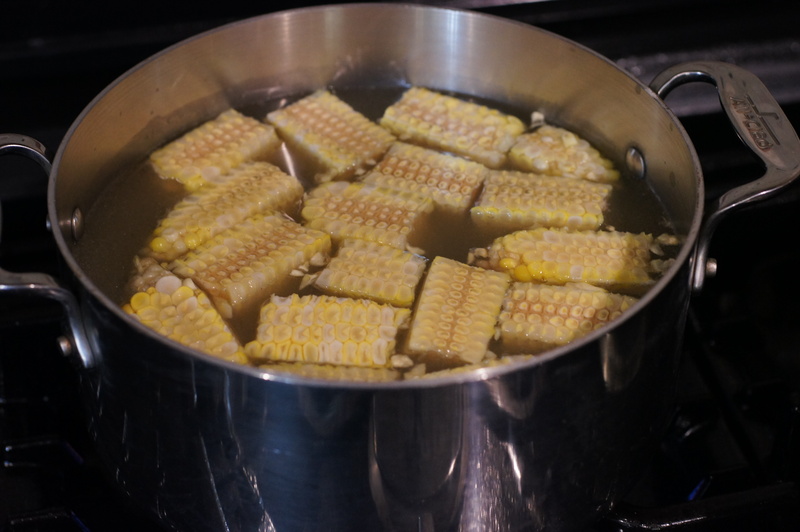 Cut the cobs into thick pieces and place them in a large pot with the chicken stock. 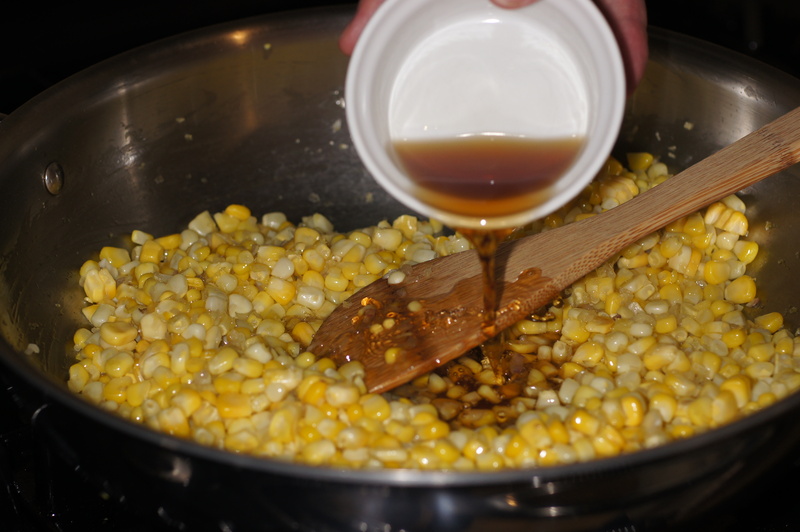 Bring to a boil over high heat, then reduce heat to medium and let simmer for 30 – 45 minutes to extract the flavor out of the corncobs. If there is less than 4 cups of broth remaining, add enough water to bring it to 4 cups. This will provide you a beautiful base upon which to build your corn soup. 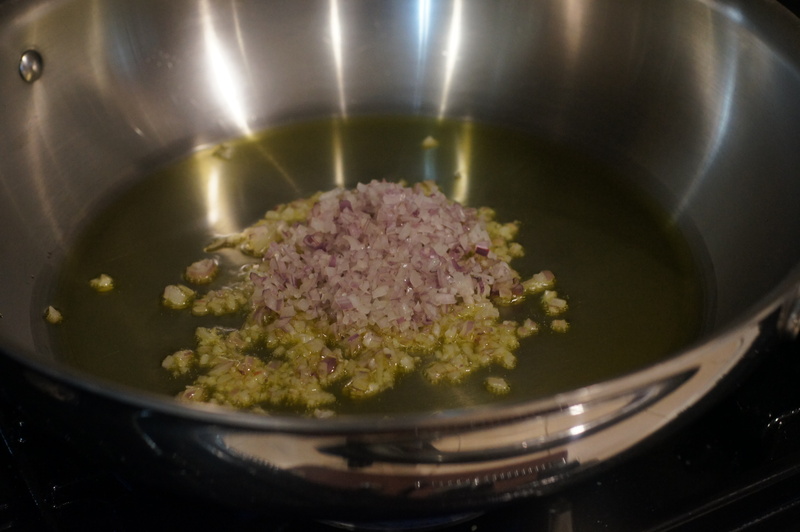 Once you have made your soup base, add the olive oil to a sauté pan over medium heat. 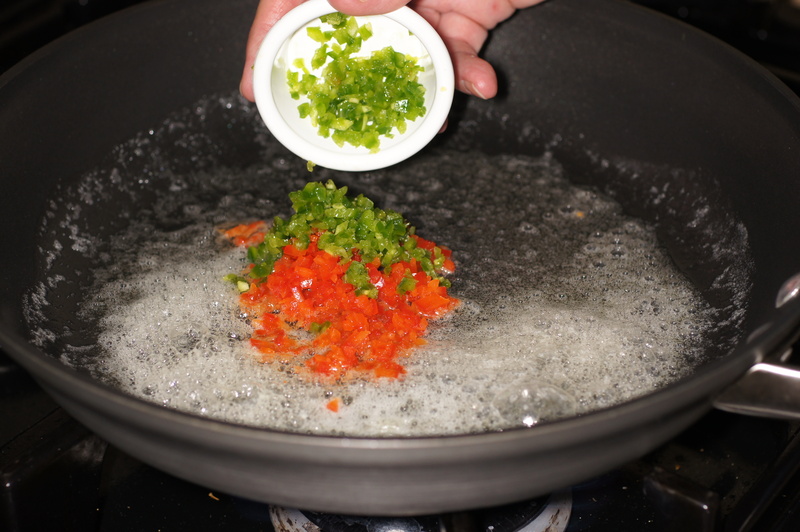 When hot, add the shallots and sauté until tender, roughly 2 – 3 minutes. Now, add the corn and continue to cook for 3 more minutes. Add the sherry, and cook until the sherry is reduced to a glaze on the bottom of the pan, roughly 2 – 3 minutes. Add the soup base, increase heat to high and bring the soup to a boil. Cover the pan, reduce the heat to simmer, and cook for 30 minutes. 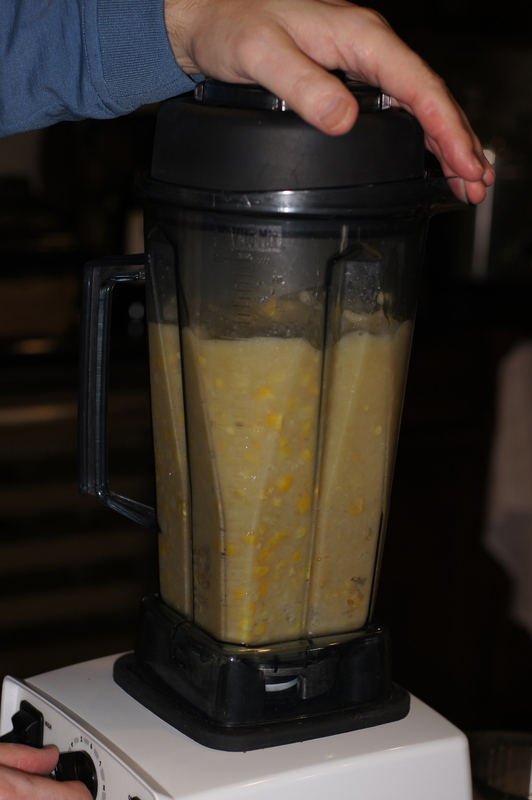 Let the soup cool, then place in a blender and blend at its highest setting for 1 to 2 minutes depending upon your blender. 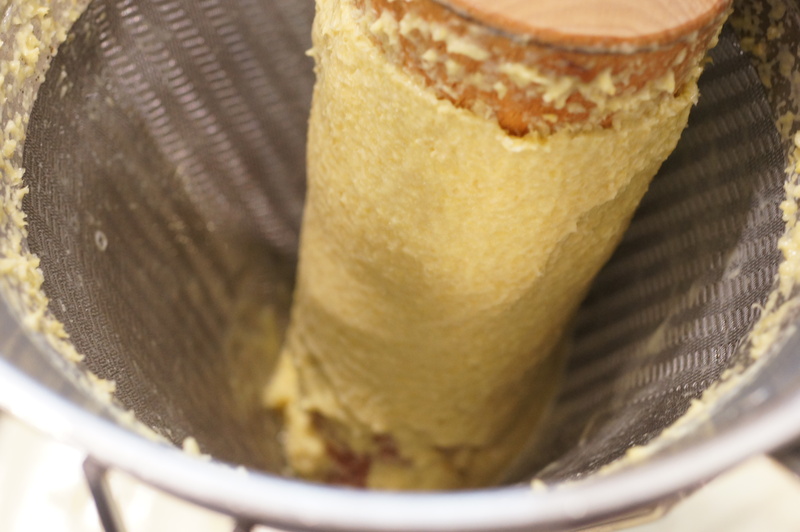 Strain and rub the puree through a fine mesh sieve to remove the pulp. This is where a chinois comes in very handy. It really is an invaluable kitchen tool. A good chinois will come with a wooden, conically shaped plunger. 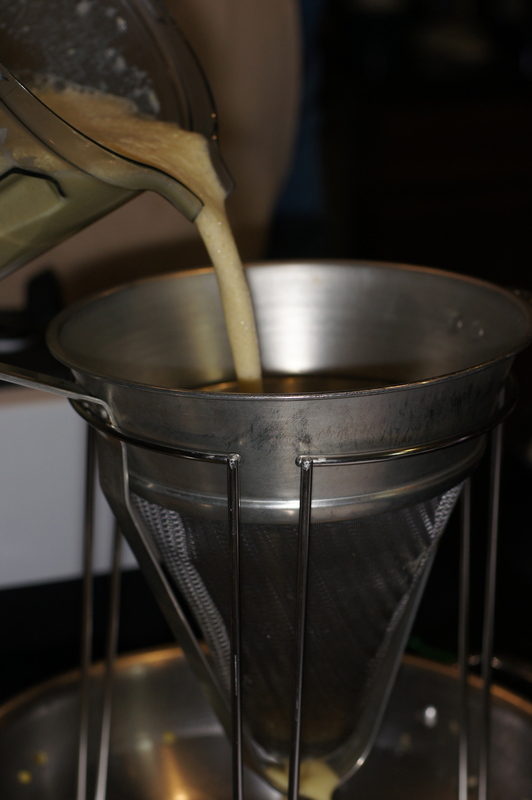 This enables you to rub a pulpy puree like this through the chinois squeezing out every last drop of flavor from the pulpy, tough skin of the kernel. When you get toward the end you begin to roll the conical plunger around the chinois finishing the extraction of the flavor. When you are done you will see the pulp on the plunger, like thus. Return the soup to medium heat and bring to a simmer. 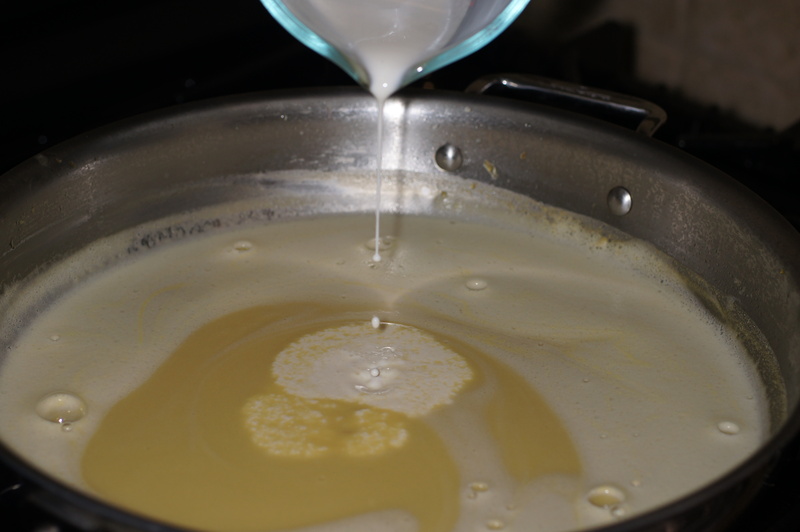 Add cream and cook for an additional 20 minutes, stirring occasionally (every 3 – 5 minutes or so) to keep the soup from burning. This is a puree and it will burn if left alone. Adjust salt to taste. 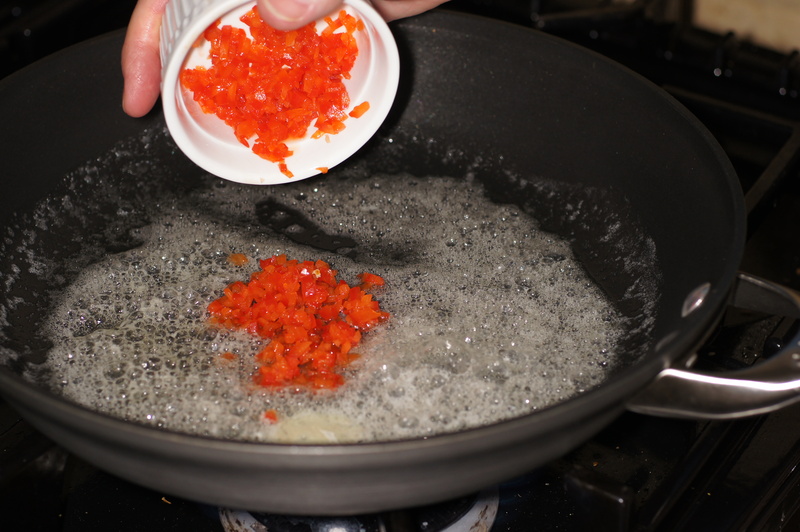 If not using the chiles, then add freshly ground WHITE pepper to taste, as well. White pepper is used because it blends better into the color of the soup AND it has a softer, more subtle flavor with some wine undertones. Inasmuch as I used unsalted stock, to my taste, roughly 1-1/2 tsp of salt was needed. A salted stock will take less, again, depending upon your palate. Sauté the vegetables over medium-high heat until tender, roughly 1 – 2 minutes. 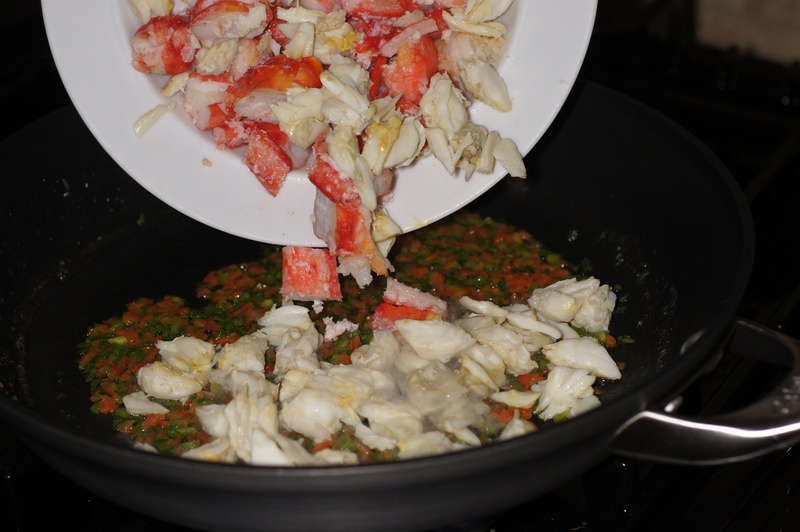 Now, add the crabmeat. 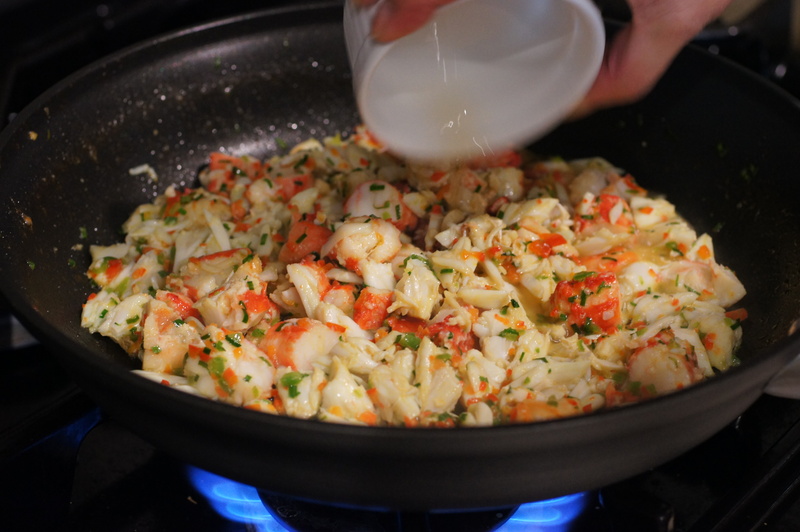 Increase the heat to high, and cook for 1 – 2 minutes more to heat the crabmeat through. Carefully, add the brandy and toss to incorporate. 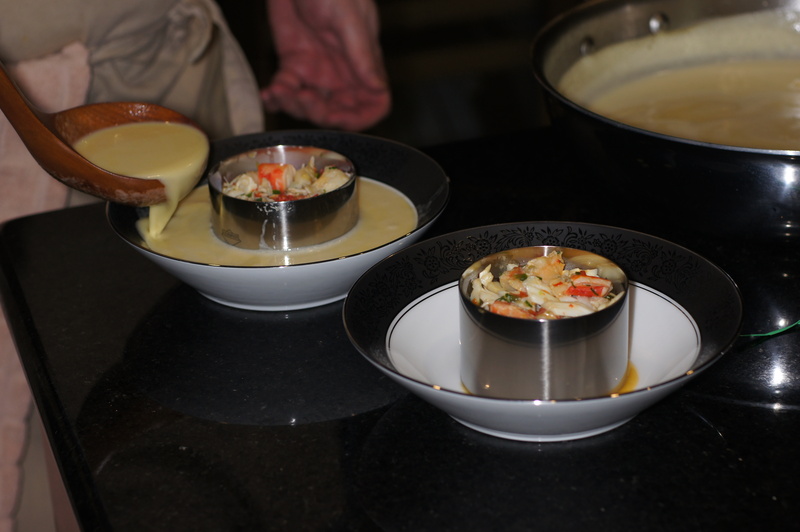 Cook for 1 more minute, remove from heat, cover and keep warm until ready to serve. 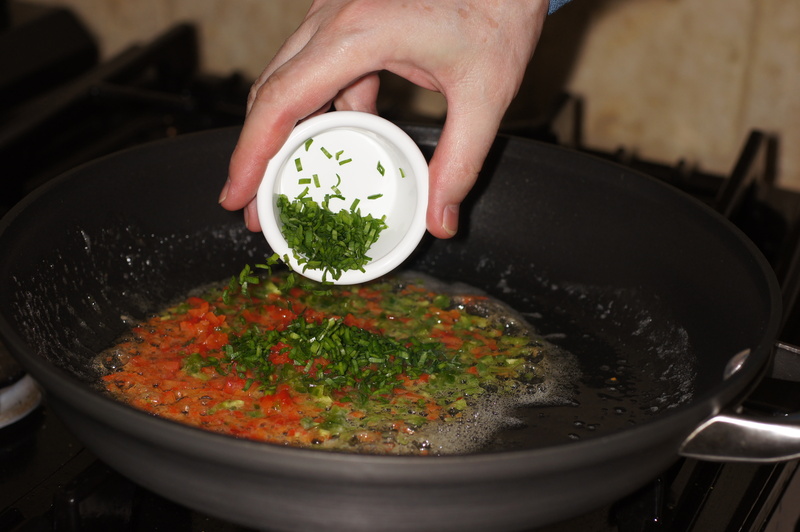 Remove ring mold, garnish with a sprig of parsley, serve & enjoy! This looks delicious Richard, I make a similar soup but it is potato based and served cold. I can’t wait to try your recipe…beautifully presented as well. Hi, Karen. Thanks for the very nice compliment. 🙂 We hope you do give this a try as it is an incredible soup. Baby Lady commented that it is one of the best soups we have had in quite a while. Remarkable recipe. Great walkthrough. Beautiful looking crab. I am seething in envy. Now I know that I like her. Great shot indeed. I try and fail at this stuff on a regular basis. Once in a while I succeed. But only once in a while. Just WOW! Absolutely beautiful. . LOVE all these soups you are doing. . and love how you plated this! Ring mold. Fabulous! Thank you for dropping by and your nice compliment. It was absolutely delicious. 😀 We hope you give it a try. This sounds fantastic, Richard. Corn chowder made right is a great dish, in its own right. Your use of the cobs to make the chowder’s base is a great idea. And that would have been enough for me. Not you! No, you go and add that crab. Oh, baby! What a great recipe and presentation! This would be perfect fot Thanksgiving. Thanks for sharing. Hi, John. Thanks for the very nice compliment. 🙂 Using the corncobs for the soup base makes a world of difference. You get a real flavorful yet delicate corn base. If you have the cobs, you might as well use them, right? The interplay between the corn and the crab in this dish is simply amazing. Both are very delicate and sweet. The corn takes center stage, as it should. After all this is a corn soup but the crab is the perfect, delicate compliment. I’m definitely going to make a version of this! I might use crab stock rather than chicken. Wonderful recipe, I’m sure it was outstanding. I’ll have to wait until I find corn on the cob, which is not as commonly sold here as in the US. Hi, Stefan. Glad you like the recipe. 🙂 Originally, I was going to use a lobster stock I had but I only had 2 cups. So, I saved it for another yet to be revealed to me purpose. Crab stock would be nice. 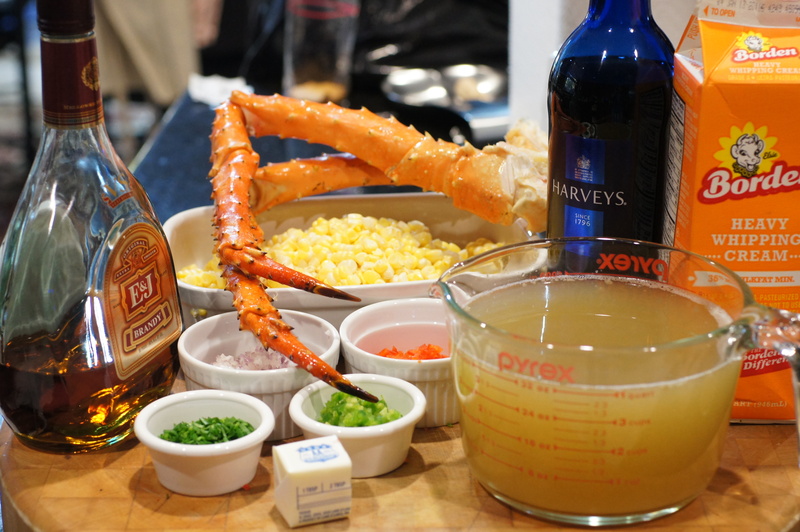 If you try it with crab stock let me know how it goes as I would be very interested. If you can get some white truffle, I think that would send this soup over the top. 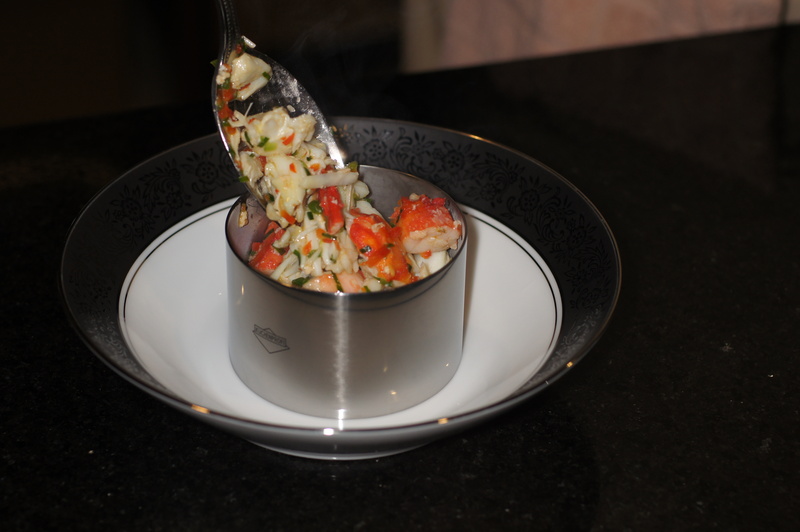 Just made this with local crab and it was delicious! Kees was wondering how I came up with this. Even managed to find a jalapeño and it was good! I bet it’s even better with king crab, but that’s ridiculously expensive here 😦 The texture of local crab is very flaky. Post to follow next week… Thanks for the inspiration! Hi, Stefan. Hope all is well. 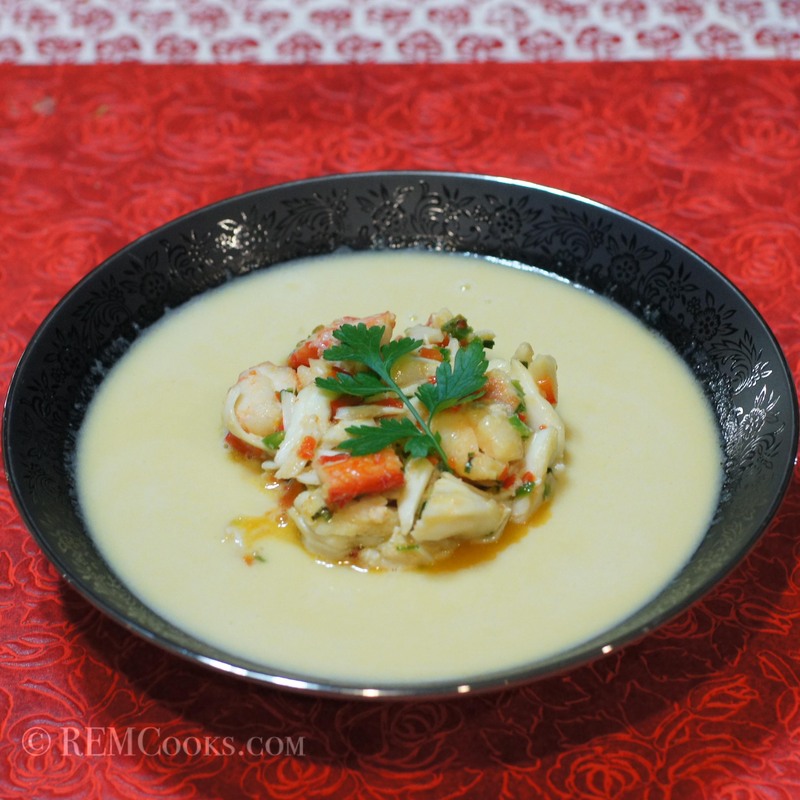 I need to recreate this dish with some Dungeness Crabs and use crab stock to see the difference the stock makes. I loved your approach to the dish. Insofar as your questions are concerned, the only reason to allow the soup to cool is it is easier to work with. I let it cool to a warmer temp but not luke warm. Just warm enough to work with it and not steam myself in the process. The final simmering allows the soup to heat to serving temperature, provides a little more reduction, and allows the flavors to blend a little further. If you don’t cool the soup initially, I don’t see it makes a whole lot of difference. Your corn soup absolutely the bomb.I love how you paired it with crab what a perfect friendship.Thank you for sharing your recipes and talent. Thanks for your very nice compliment. Corn and crab are a perfect pairing aren’t they? Thank you for replying to my comment.Happy Thanksgiving early . OK, now I’m hungry. And there are a lot of good techniques in this recipe. If I’m not careful, I might learn something here! All the work and preparation…luscious is the right word! Corn and crab are one of top favorite foods. Great job Richard. Thanks, Joy. This is one killer soup and there really isn’t a lot of prep. As a first course, this will feed 6 – 8 and as a main course 4. Total time is around 1-1/4 hours to prep and cook. Not a great weeknight meal but definitely a romantic weekend dinner. This would be a great starter for, among others, turkey with a cornbread stuffing, beef, lamb, venison or seafood. You could then finish the meal with a nice corn custard dessert, a nice corn ice cream or even a corn shortcake with a berry compote. How fun!! It would turned out to be one great and romantic dinner, I definitely agree! Yes, I can say it…but please tell me how to turn the voice off…I can’t seem to stop! What a brilliant soup idea…what an ingredient list!…how you’ve flavored the base with the cobs…and I love how you’ve plated it! Pinning this one Richard! Sorry for not responding earlier but I missed your comment. Thanks. 🙂 I hope you give it a try. It really is unbelievably delicious. Yep, I will give it a try. Looks like a winner! Thanks we hope you try our other soups.